I've shared peanut butter cookies. I've shared almond butter cookies. 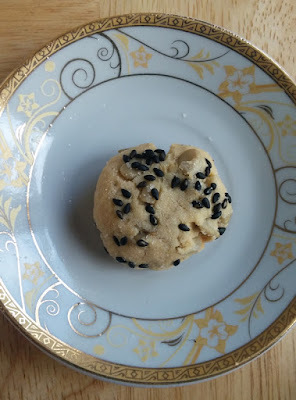 Today I am sharing tahini (ground sesame seed) cookies. Tahini? In a cookie??? Yes, Dear Reader. A savory cookie for you to savor.